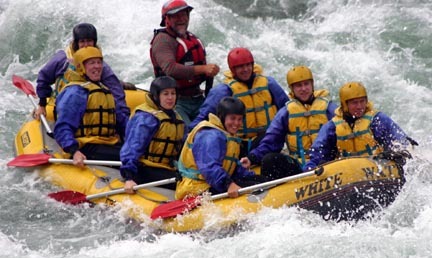 On a lark, I booked a white water rafting trip on the Buller River that empties into the Tasman Sea in the Town of Westport, New Zealand. 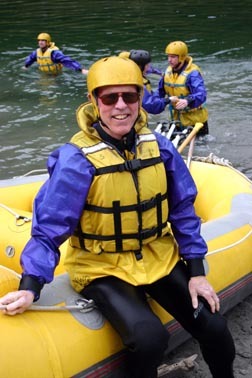 This was with Buller Adventure Tours--an outfit that in retrospect I'd recommend to anyone who asks. 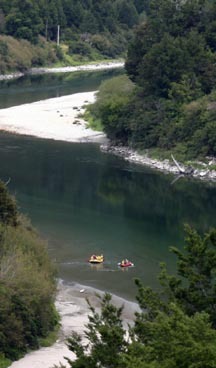 The Buller is the largest river draining the West Coast of New Zealand, and has some interesting history, particularly in the past 40 years or so. In 1968 the Westport region was struck by a massive earthquake that exceeded 7 on the earthquake scale. This caused widespread devastation, with--by some accounts--70 percent of the houses damaged or destroyed, and great damage to roads and bridges. The quake was centered on a fault line that transected the Buller River about 40 or 50 kilometers upstream from Westport, and the resulting slips from both sides of the river created a temporary dam that caused great concern. The dam, however, gave way piecemeal and the distribution of its debris downstream created the rapids that are enjoyed by rafters today. The Buller River is also a fabulous fishing river, with brown trout that are said to average about 4 lbs in weight. But the river is also one in New Zealand that has been infected with a pernicious benthic diatom, Didymo, that threatens to encrust the benthic habitat with a gelatinous exudate and choke off the normal aquatic insect and benthic communities that support fish life in the river.  A current fear in New Zealand is that this organism will be spread to other watersheds via boats and fishing gear. 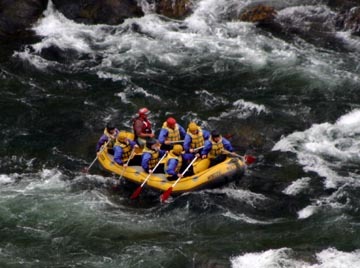 I met the group to participate in the rafting expedition at the Buller Tours headquarters about 12 Km upstream from Westport. There were 9 of us, including couples from the UK and The Netherlands, and we were led by the guide, Bruce, who turned out to be a wonderful naturalist, as well as an expert rafter. With the entire crew ready to go--including a pair in a kayak, we had some initial instruction (a bit scary) about safety, and and how to follow Bruce's instructions. The first rapids were easy. That's me, second from the stern on the right (starboard) side, in front of Debbie from England--who was more scared than me). 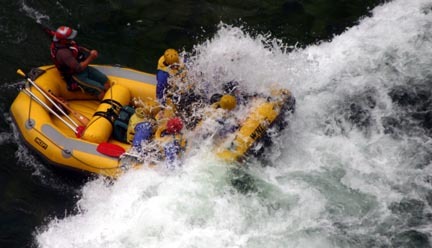 Then the rapids got tougher. Look at that grimace, and those clenched teeth. Where's the parachute? And tougher. Whoa, let me outta here! 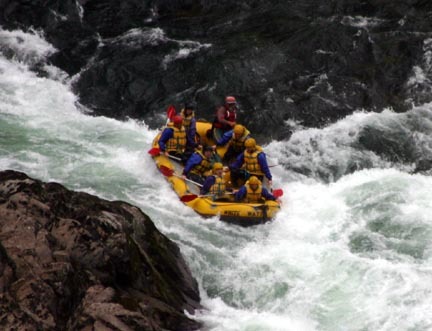 It was a great time, we stopped from time to time to haul the boat back upstream and run the rapids again, take turns in the kayak, swim rapids, jump from a cliff hanging over the river, and even go through some rapids while standing the sides of the raft hanging on to each other. The trip concluded with a sausage roast, and a hearty good time.